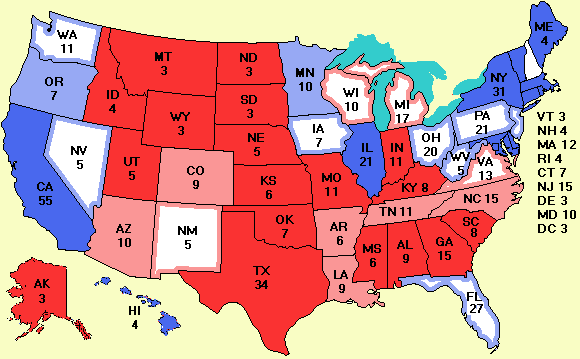 Bush has gained ground in WA and WV, but lost ground in TN and FL. The loss in FL is just enough to tip the scales to Kerry again. Once again, all the states with a white core in the map are essentially tossups no matter what the border is, since leads of less than 5% (indicated by white in the map) are within the margin of error of most of the polls.